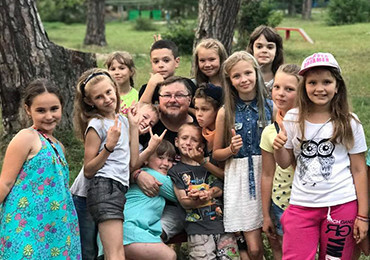 By Example Youth Missions (BEYM) is the latest incarnation of a mission that started over a decade ago—a remarkable result of God’s hand moving in Ukraine. 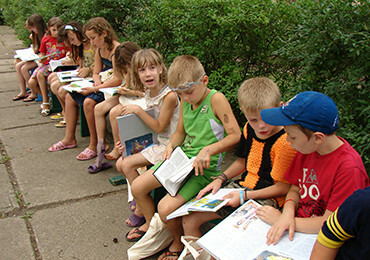 In 2006, the Ukranian National Youth Camp Organization invited Eastern European Mission (EEM) to bring and teach the Bible to the children attending their camps. EEM happily obliged with a youth camp program, eager to answer God’s call to spread the Gospel and plant the seeds of salvation in nations hungry for the truth. In 2017, EEM passed the baton to the camp team leaders, who formed By Example Youth Missions (BEYM), a nonprofit organization dedicated to continuing the mission of teaching God’s word and principles in the daily lives of children in a fun, relaxed camp environment. Indeed, this is yet another testament to God’s faithfulness and grace—and another opportunity to show His transformative love to youth who are in need of hope and spiritual awakening. What are BEYM Youth Camps like? Youth camps are generally set in the clean air of the Ukrainian forests away from the pollution of the cities. These camps were designed for restoring the health of the children: to give rest to the physical self, intrigue for the mental self, and challenge the physical self, but now they are allowing a beautiful addition to these purposes. They are allowing the strengthening of the moral being as well. We have seen this in action, we have seen changes in children from one year to the next. We believe in this work. Team leaders from the BEYM Youth Camp Program have come together with a renewed mission. 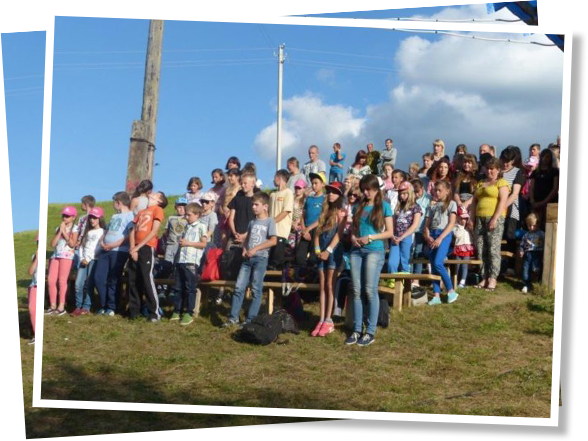 Teams of Christians continue to attend established secular camps, working closely with the Ukrainian camp directors and selected interpreters. They continue to live the love of Christ By Example within the day-to-day summer camp life. How do we live and love? —By Example !! … a HUNDRED times more than was sown. Each year the youth camp teams distribute Bibles to every person in camp. Bibles are going into homes that may not have ever held a Bible. These families are gaining the message God intended for everyone, everywhere. With your help. These teams are asked to teach character traits to build a stronger future for Ukraine. These lessons come from stories God provided in His Word. It does not stop there. The teams demonstrate those lessons openly by living, teaching, and connecting with children, counselors, and adult staff in the camps. By Example. They exemplify the love of God through their lives – living the Love of God “out loud” for all to see. Bibles are already used in the schools of many Ukrainian Oblasts (states). Bibles are in schools, let that sink in a moment. The Bibles stay in the schools as study guides. But through our distribution of Bibles in camp, a bag of Bibles and workbooks go home with the children to take into their families, so that God’s word may dwell within their homes for all to share and know. These Bibles are being shared. The children are learning how these stories fit into their lives. God’s Word is for them, personally. The amazement and joy this brings groups of childrens and adults in amazing. Transforming messages are taught in seemingly simple ways. But God intended it this way. He gave us His word to read – cover to cover – to gain His plan. That plan is for everyone. Can you imagine 30 ten year olds at camp listening intently to how the life of Joseph can apply to them? Intently. Connecting a child to the power of God’s Word is an amazing role we get to play, whether near or far. This approach is to take it far away, making “far away”seem like next door. Connection and relationships melt the miles. Add the power of God as the foundation for this trip and watch amazing changes in everyone involved: kids, counselors, staff, and us.